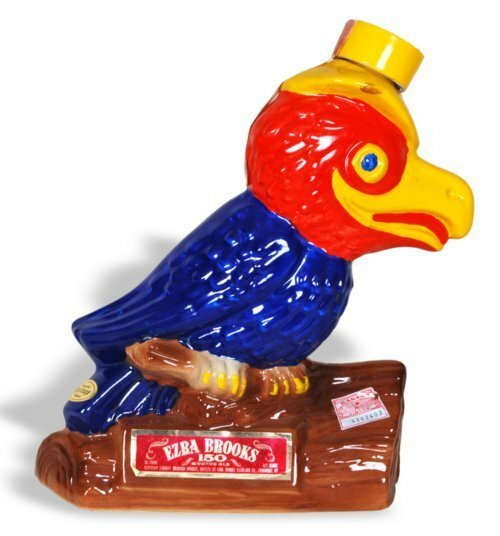 The Ezra Brooks Distilling Company of Frankfort, Kentucky created this University of Kansas Jayhawk decanter in 1969. It originally contained bourbon. Erza Brooks had a full line of University mascot decanters.